The excavation concerns a 145 x 165 m soil surface with a maximum excavation level of about – 20 m in very soft and saturated clays. The designed retaining system is composed of a slurry wall braced at its top. 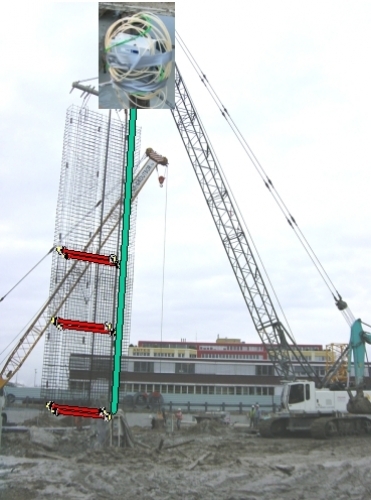 The bracing leans on a 130 m diameter circular reinforced concrete beam supported by piles that are linked with a buried circular internal slurry wall located at the excavation’s bottom. 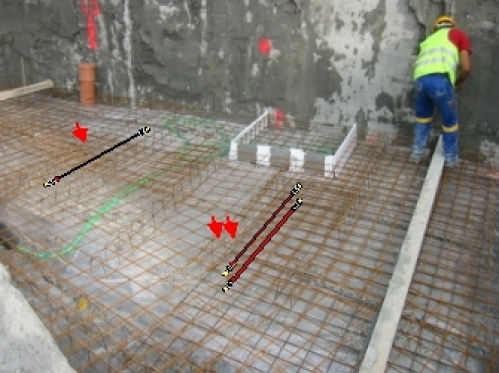 The aims of the monitoring were to monitor the load on the circular internal slurry wall; sensors were placed tangentially on the rebar cage before the concrete pouring. Mat foundation was also monitored to control the thrusts of the external slurry wall. Circular internal slurry wall sensors show the strain was up to 3,5 N/mm2. Engineers saw the real evolution of the load during the excavation, monitoring the load transfers.